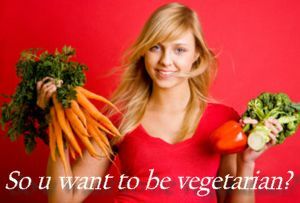 Covering becoming vegetarian tips, side effects, benefits, diet, recipes and to lose weight. Should you decide to switch to a vegetarian lifestyle, it has has many long-term advantages in terms of health. The human body is very responsive to changes in diet, you can take charge of this any day you wish. Being vegetarian means different things to different people. For some it means avoiding meats, eggs, and dairy products- also called vegan. There are some who are lacto-ovo vegetarian, meaning they do not eat meat, but eat dairy products (lacto) and eggs (ovo). Some are lacto-vegetarian, meaning they also do not eat meat but consume milk and dairy products. And finally pesco-vegetarian where they will eat fish and no other meat products. A healthy vegetarian does not just avoid meat. You have to implement strategies to empower your diet. When making the switch, just cutting out meat and including vegetables is not a recommended way. As with any eating healthy diet, it is first of all important that you acquire at least some basic nutritional knowledge. When you implement this nutritional wisdom on a regular basis you will thrive on this diet. 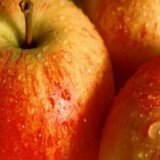 You may also even consider the raw food diet plan or eating whole foods. Vitamin D: Did you know that for good bone health, Vitamin D may be more important than calcium? When we are exposed to the sun our bodies make vitamin. So go ahead and bask in the sun a little and allow your body to make that vitamin. Essential Omega-3 Fatty Acids: There are a variety of reasons why these fatty acids are important. One of them is that they maintain a good heart and cardiovascular health. Sources of these fatty acids that you can include in your diet when becoming vegetarian include: canola oil, walnuts, flax oil and supplements. Vitamin B-12: In order for vegetarians to get a reliable source of this vitamin you may eat fortified cereals, soy milk or Vitamin B-12 supplements. There are a number of nutritional benefits which include lower levels of saturated fat, cholesterol, and animal protein. You have higher levels of carbohydrates, fiber, magnesium, potassium, folate, and antioxidants such as vitamins E and C and phytochemicals which are all important nutrients for your body. When compared to those who are not vegetarian, vegetarians have lower body indices and also have lower rates of death from ischemic heart disease. Vegetarians also have healthy blood cholesterol levels; blood pressure; and are less at risk for developing hypertension, type 2 diabetes, and prostate and colon cancer. Vegetarian children and adolescents have lower intakes of cholesterol, saturated fat, and total fat as well as higher intakes of fruits, vegetables, and fiber than non-vegetarians. Vegetarian children have also been reported to be leaner and to have lower levels of serum cholesterol. According to research, meat eaters are also nine times more likely to have obesity problems as compared to vegetarians. 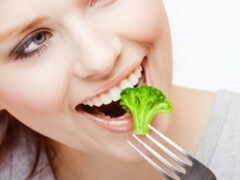 Vegetarians also have stronger immune systems. This gives them greater protection against common cold, flu, and such everyday problems by warding off infection at an early stage. When it comes to the side effects, like any other diet, if you do not do your adequate research, you will suffer a lot of nutritional deficiencies. It really can never be emphasized enough that you have got to do your homework in order to avoid the side effects that come with the lack of certain nutrients which our bodies need. The typical nutrients include protein, calcium, iron, Vitamin B-12 and Essential Omega-3 Fatty Acids which we have discussed briefly earlier in this article. When making the transition, it's up to you really. You can either take it one day at a time and gradually change or if you are one of those people who go all out and never look back, today may as well be that d-day! When you become vegetarian, it doesn't necessarily mean that your meals will be dull and boring. Over the years more and more fabulous meals and ingredients are being availed for vegetarians. There are, however, some nutritional choices you should consider to fully experience the benefits of the vegetarian lifestyle. When it comes down to the cooking. Vegetarian recipes are not complex at all. In fact there are plenty of simple vegetarian recipes and easy vegetarian meals. There will also come those gourmet vegetarian recipes, but not to worry, as long as you can read and follow instructions, you will be cooking up a storm for you and your family in no time at all. Here is a list of some of the good sources of protein, iron and calcium that you can include in your diet. Protein: Tofu, lentils, peanut butter, almonds, soy milk, sunflower seeds, soybeans, brown rice, pinto beans, kidney beans, chickpeas and lima beans. Calcium: Broccoli, sesame seeds, orange juice, almonds, black beans, mustard greens, soybeans, tofu, soy milk and textured vegetable protein (TVP). Iron: Oatmeal, bran flakes, sunflower seeds, raisins, pumpkin seeds, whole wheat bread, tomato juice, cashews, spinach, soy milk, soybeans and kidney beans. From this, you can see that soybeans, black beans, kidney beans and soy milk are rich in all three, protein, calcium and iron. It's important to note that if you do not improve your eating habits, even a vegetarian diet will not help you lose weight. If you stop eating the meat and replace it with highly processed foods, any body weight issues will continue. A vegan diet will not help with the weight issues if the majority of your calories come from highly processed, fried and other unhealthy foods. So it will be wrong to assume that just because you are not eating meat that you can indulge yourself in any way you please. If you stick to the recommendations of this diet and get the majority of your calories from whole fiber rich foods, a healthier body weight will be much easier to manage. Should you choose the Lacto-ovo diet, which is the easiest vegetarian lifestyle to maintain, remember that eggs, butter, cream, whole milk products all have a quantity of fat and extra calories. Fats from nuts and seeds are healthy and recommended, but if you have weight issues, you may want to manage those portions. You may read more on this in the article healthy recipes for weight loss.